Lightpro Uplights There are 4 products. 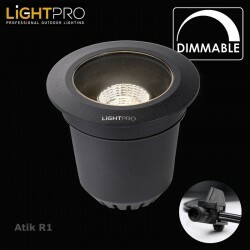 Lightpro outdoor uplights are perfect for installing in gardens as well as more commercial settings. The 12v Lightpro system is plug and play. 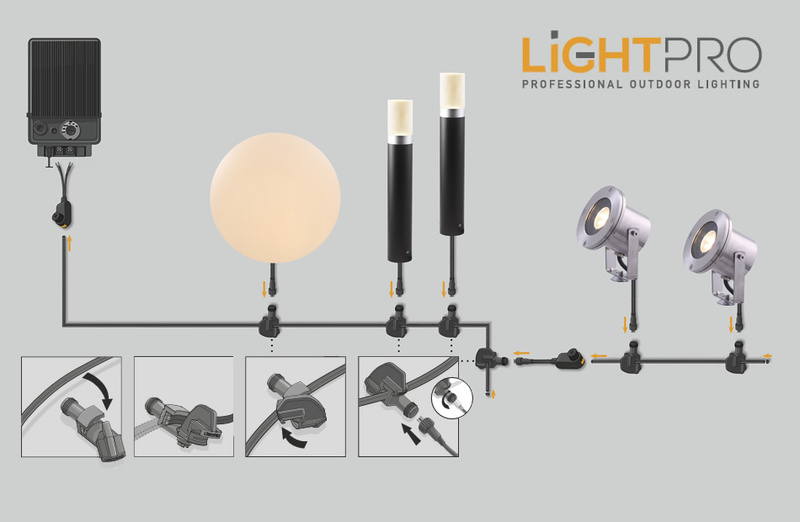 Simply connect your Lightpro cable to your Lightpro transformer and connect your Lightpro garden uplights to the cable using Lightpro's award winning screw connector. 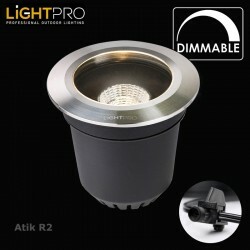 Not only are uplights great for using at home in the garden and driveway. They can also be used to uplight large trees with similar effects as a spotlight. The main plus point of using uplights rather then spotlight is there is no trip hazard. Perfect for more commercial applications. 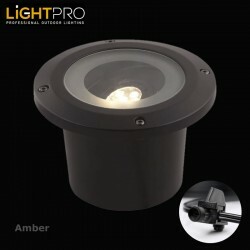 The Amber 5W uplight is finished in aluminium and has an adjustable LED lamp. 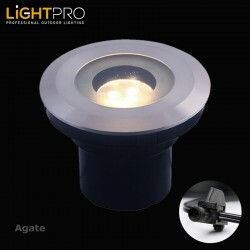 The Agate 3W uplight is finished in stainless steel and a crush weight of 2000kg making it ideal for driveways.